A traffic ticket for a violation such as speeding or running a red light adds points to your driving record. Accumulated points may increase your insurance rates or lead to a suspended license. The best way to contest traffic tickets in Glendale is by using an experienced legal team. 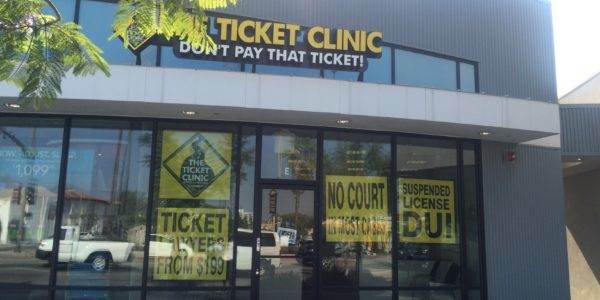 Our legal experts at The Ticket Clinic are familiar with many defense strategies to get you on the road again with a clean record. You have a right to a fair trial after being assigned a traffic violation. This is important if you think the ticket was wrongly assigned. Instead of pleading guilty and paying the fine, work with our legal team to learn how to get rid of a traffic violation. For example, getting caught in an unlawful speed trap or getting a violation based on malfunctioning equipment could be reasons to have the violation dismissed. Why Should You Choose The Ticket Clinic? When you get a Glendale traffic attorney from The Ticket Clinic, you have a real lawyer with experience reviewing your case. We don’t use apps or robots to walk you through the process. It starts with a free consultation of your situation. We don’t just push paperwork around until your case gets to court. We protect your rights every step of the way, from the administrative business of the court to the actual courtroom, if it gets that far. Our 80 percent success rate demonstrates our experience and dedication to each client. Our experienced law attorneys know the language of the courtroom while also knowing what to look for in a traffic court case. Following a 22-step checklist procedure, our legal experts develop a defense strategy to get the violation dismissed. They know the questions to ask and the documents to request from law enforcement for a wide range of speeding ticket types. The process checks if there is enough courtroom evidence to back up a ticket violation. If key information is missing, it is possible for the violation to be dismissed. There are many types of violations and speeding tickets. You may get a ticket for failing to signal or running a red light. Getting them dismissed requires an assortment of strategies and approaches. The Ticket Clinic has over 30 years of experience developing effective, case-specific defense strategies. Let our legal team show you how to get out of a traffic ticket in Glendale. This way you use the law to your advantage to keep record clean and to get back on the road as soon as possible. In Glendale, a traffic ticket payment might seem like the easiest solution to get rid of the offense, but paying a ticket admits your guilt. It could lead to more severe consequences, especially if it’s a DUI or other serious offense. Most certainly, your auto insurance will go up when you have a moving violation on your record. If you have a drunk driving traffic ticket or other ticket that you want to challenge in the legal system, we have over 30 years of experience in the United States behind us. Call us today at 1-800-CITATION or contact us online to get more information about our free consultation and services to know your options.